I always find everything in my shower runs out at the same time. Last week my beloved Soap & Glory scrub ran out along with a cheap shower gel, so it was certainly time to pick up some new body bits. As you all know I'm a sucker for a good bargain, so when I spotted a 40% of The Body Shop voucher on my phone I couldn't resist. 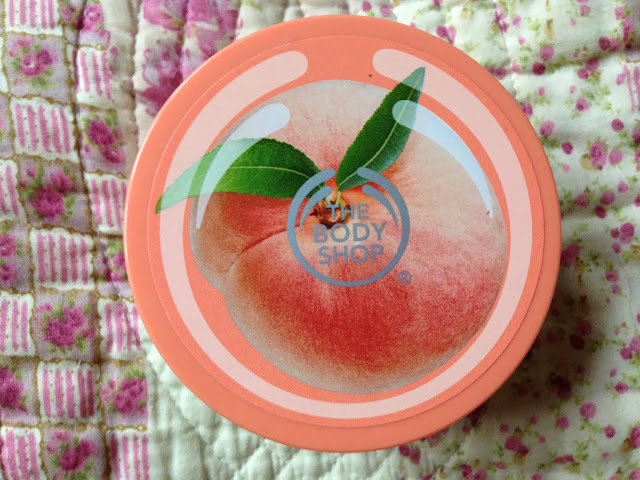 The Peach body scrub was already reduced to £5 then I got another £2 off, a real bargain. It smells incredible and does just as good of a job as my trusty S&G but for less than half the price. 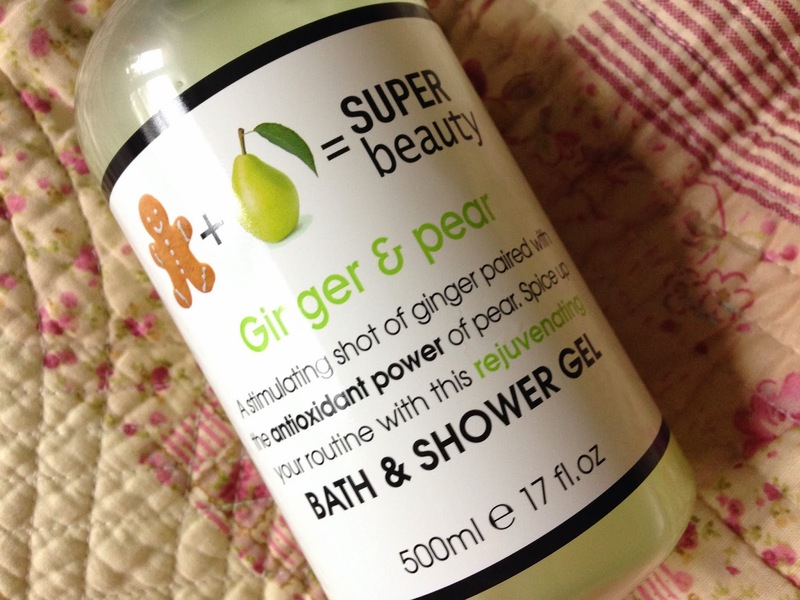 Secondly, I spotted this shower gel on an introductory price in Boots. They had a few flavours, but this one was by far the nicest. 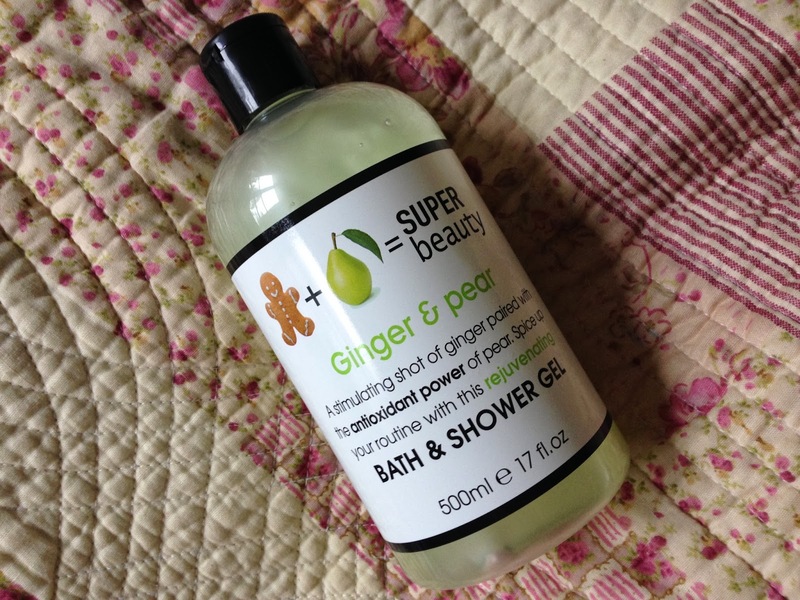 It's really powerful and wakes you up on a morning, but the ginger is kind of soothing too. I love the packaging and branding so I had to give this a whirl and it certainly hasn't disappointed. If you are yet to try Primark's candles, stop reading this and go and buy one. Seriously, for £2 you can't go wrong. 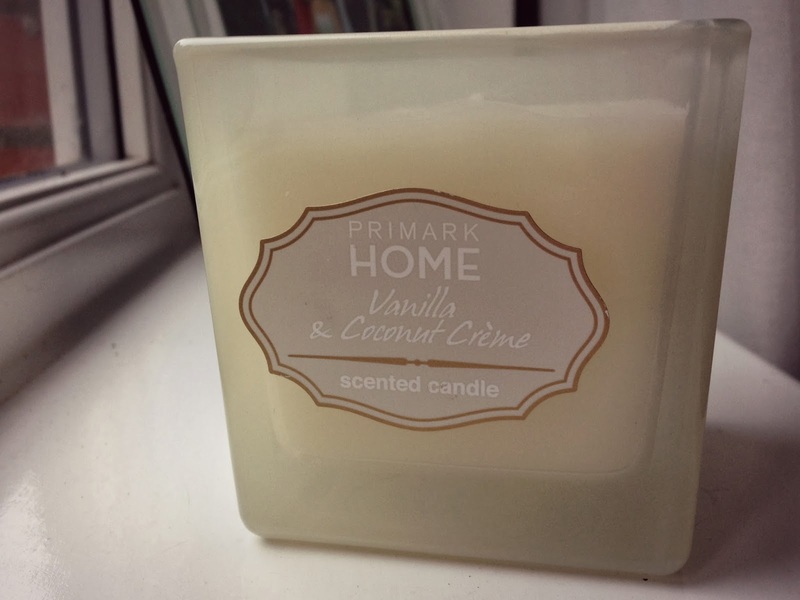 Every candle I've had from Primark has smelt amazing, burnt pretty evenly and looked much more expensive than it actually is. 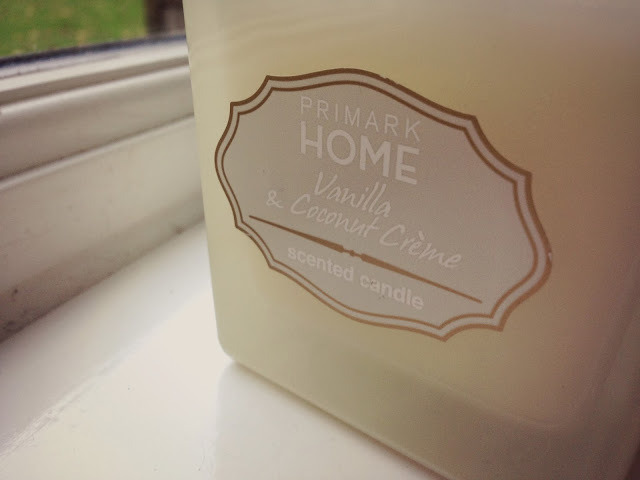 This one smells delicious, really coconutty and sweet but not too over powering. It's in a gorgeous glass holder thing and looks really cool and modern, it's also pretty big too considering the price. No matter what, I always seem to go back to Primark's candles, especially when I can't justify £10 for something that will eventually all burn away. 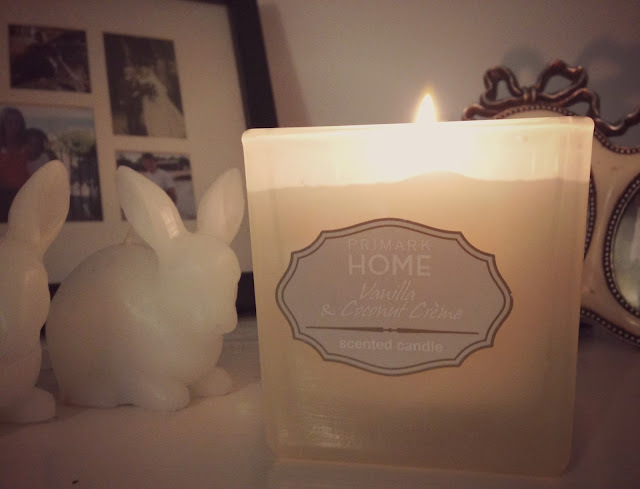 I love candles and once again Primark, you haven't let me down. 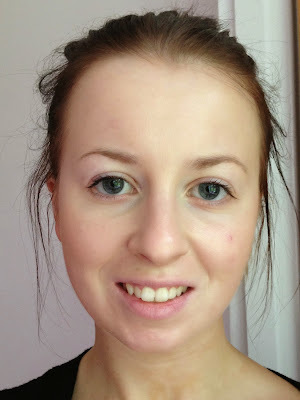 I've been umming and ahhring about whether I should invest in the Real Techniques brush set for some time, however I am not the best person at eye make up and was worried I wouldn't get my monies worth. 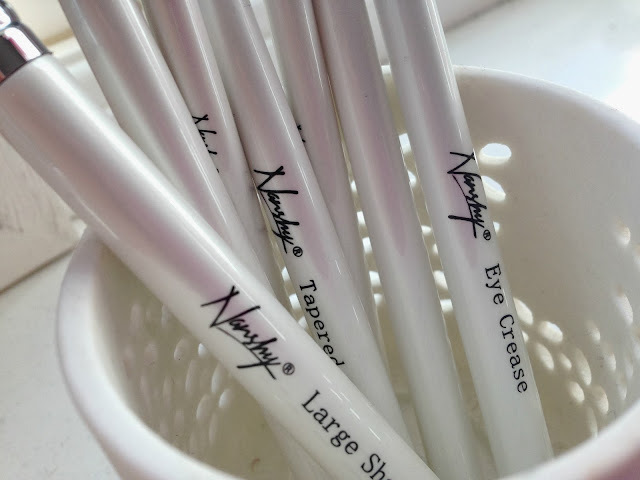 However, when Nanshy offered me the chance to try their cruelty free, vegan brushes I knew exactly which brushes to go for - introducing the eye brush set. 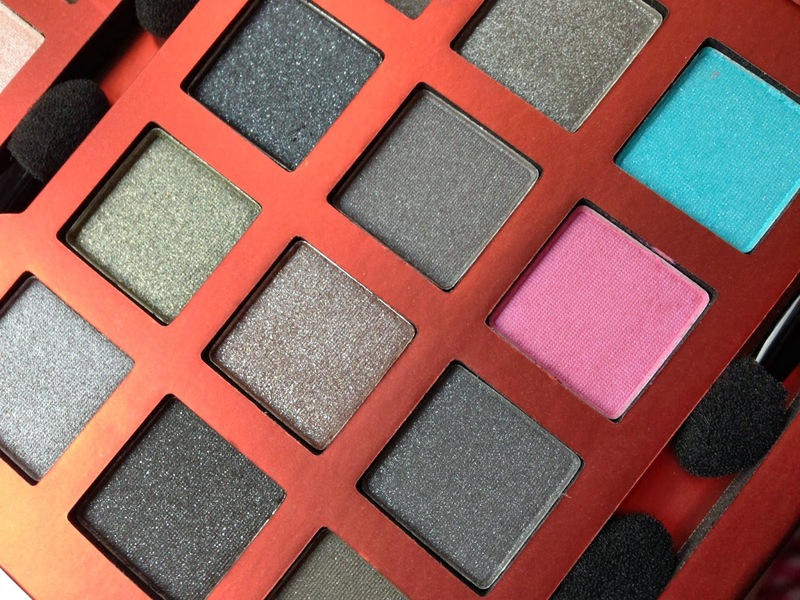 This brush set has made me try out more eye make up looks, and they couldn't have come at a better time after I won my Nars eye shadow palette. I've been experimenting with all the brushes and they even have handy labels on them so I know exactly which brush is shaped for particular things. 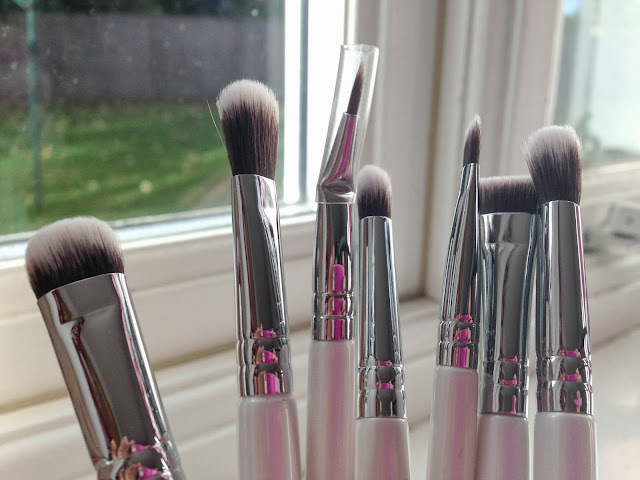 The brushes are incredibly soft too and the packaging is so sleek and gorgeous, they look so pretty sat on my dressing table. 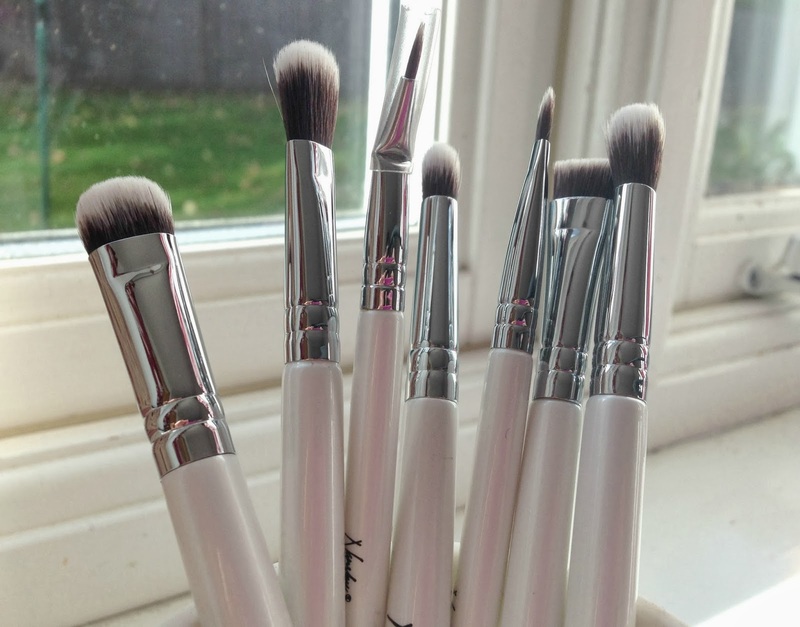 I've done a little research and these brushes are available on Amazon for £29.95 for the set. Nanshy also do other sets too and the face brushes look amazing - I'm really impressed! P.S Do you like my new layout? 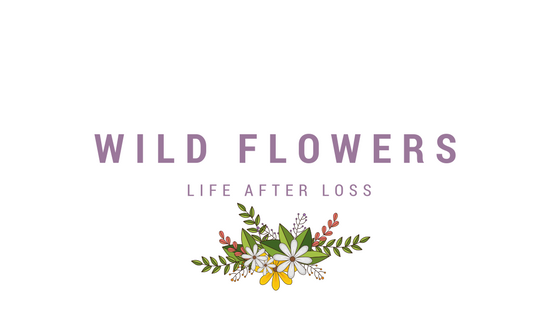 I won a blog design and it's now all done!! It's that time of the week again, introducing Shakey and Leo. 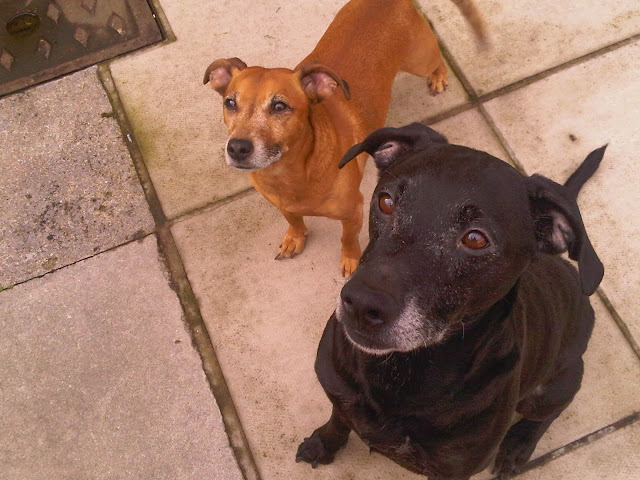 "Shakey is a black Labrador/Whippet Cross & Leo is a ginger Jack Russell, we got them both from previous owners who weren't looking after them properly. We first had Shakespeare who I quickly nicknames Shakey, he came to us with a rather big hernia which we quickly got the vet to check out but thankfully it is okay & isn't causing him any pain. About a year after Shakey had come to us, he tried to jump over the gate that lead into the back garden of our old house which had spiky things on it, unfortunately he got caught on one & after my dad had to gently get him off the spike he was rushed to the vets, thankfully it missed all his organs & just needed some stitches which he wasn't very happy about, as they made him wear a cone because otherwise he would bite them out. Since then Shakey has become more & more cuddly but is still as energetic as ever & loves nothing more than playing with Leo in the garden or playing tug of war with his favourite toy. Leo came to use with a habit of taking food from his bowl or treats & running into a different room to eat it, he slowly become more comfortable eating around us & will now share a bowl with Shakey even though they have one each. Like Shakey he adores having a cuddle, especially if you have a blanket. You will often find them cuddling on the sofa taking a nap together & he also has a love for chewing on plastic bottles instead of his toys . They both adore lounging in the sun & refuse to go outside when its raining unless someone comes with them, I think my sister, parents & I have treated them a bit more like children than pets as they have had such a hard life before coming to us but at the end of the day they are a part of my family & I honestly couldn't be without them." 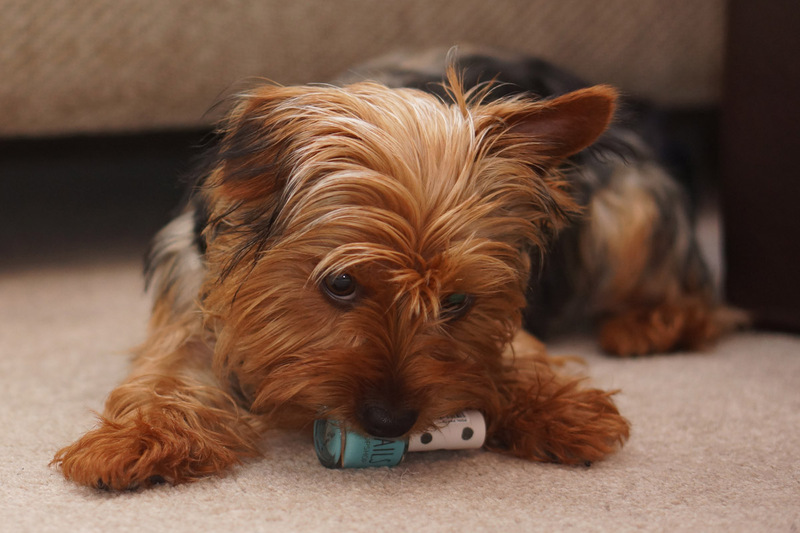 Thank you Ash for sharing your lovely pooches! You can find Ash's blog here. 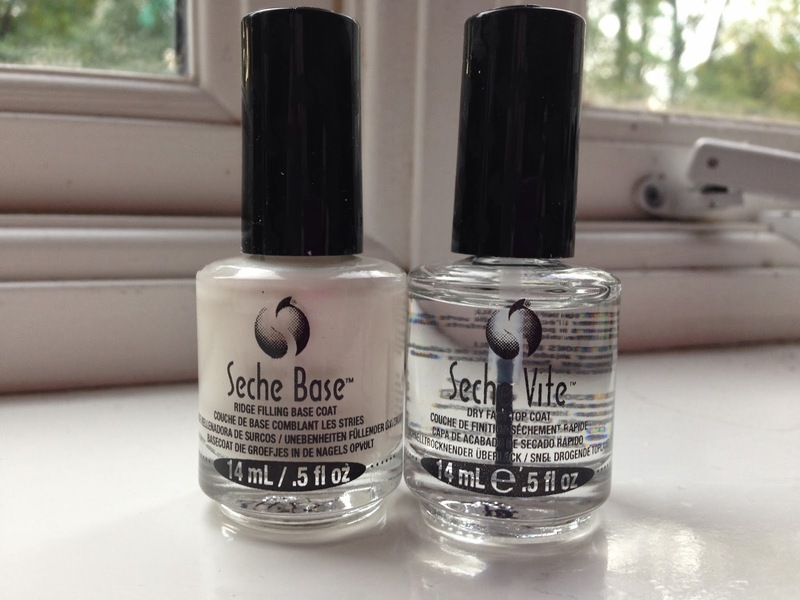 I think it's fair to say the Seche Vite Top Coat has become something of a blogging cult product. I have a favourite top coat that is £1.99 so I never felt the need to pick up the Seche Vite retailed at £9.95, however that all changed at Pro Beauty. 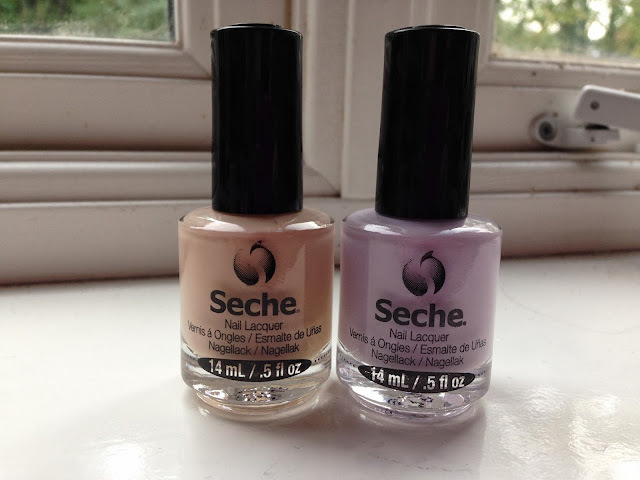 Seche had a fab offer where you could buy the Seche Base, Vite Top Caot and two nail polishes of your choice for a grand total of £12 - how could I turn down an offer like that? So now I am very much on board with the rest of the blogging world, I can't wait to give these a good go and see what all the hype is about! I've always heard great things about balance Me, so many beauty bloggers swear by their products and I am now completely converted. I never thought I would be a face oil fan, I don't like the idea of feeling greasy and uncomfortable before bed time. However, I'd got the idea of face oil all wrong. With this you only need 2 or 3 drops to warm in your hands then pat onto your face so it doesn't leave any greasy residue and sinks into my skin pretty quickly. This face oil is an absolute Godsend when I'm working night shifts, not only does it have a gorgeous soothing and calming scent to help me drift off, but it also gives my skin that extra boost it needs from lack of sleep. 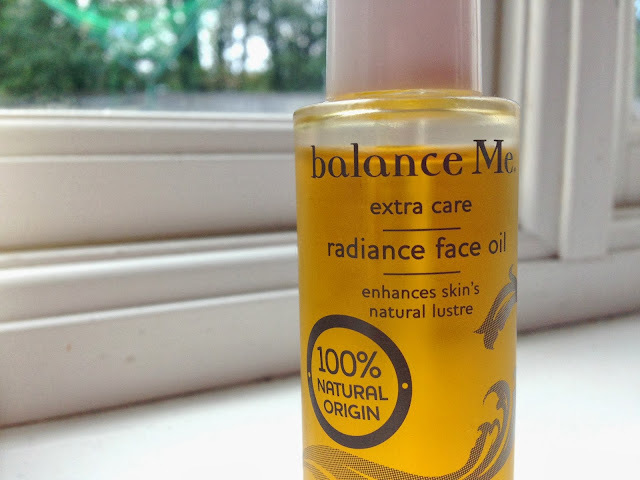 If I apply a good amount of the Radiance Face Oil before I try and have a nap, my skin looks refreshed and plump rather than feeling sorry for it's self. I'm really impressed with this oil, and this 30ml bottle will last months, as you only need a tiny amount. 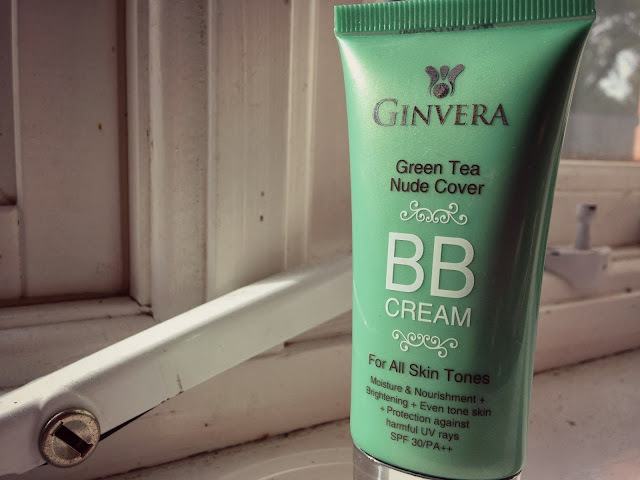 Even if you have oily skin, balance Me. suggest trying the oil to help de-congest the skin too. 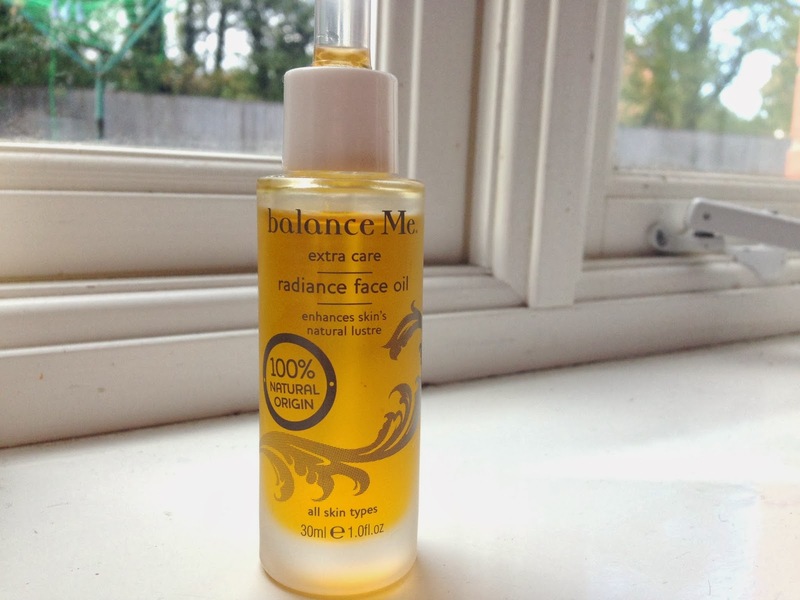 More often than not your skin needs some moisture to stop it over producing oil. 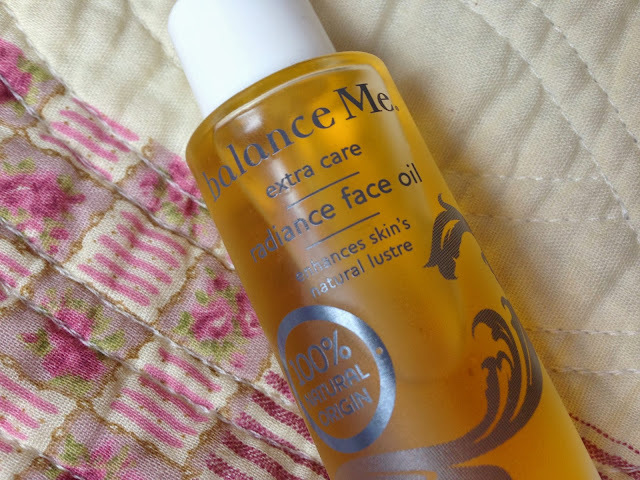 Have you tried this face oil? Find out more here. 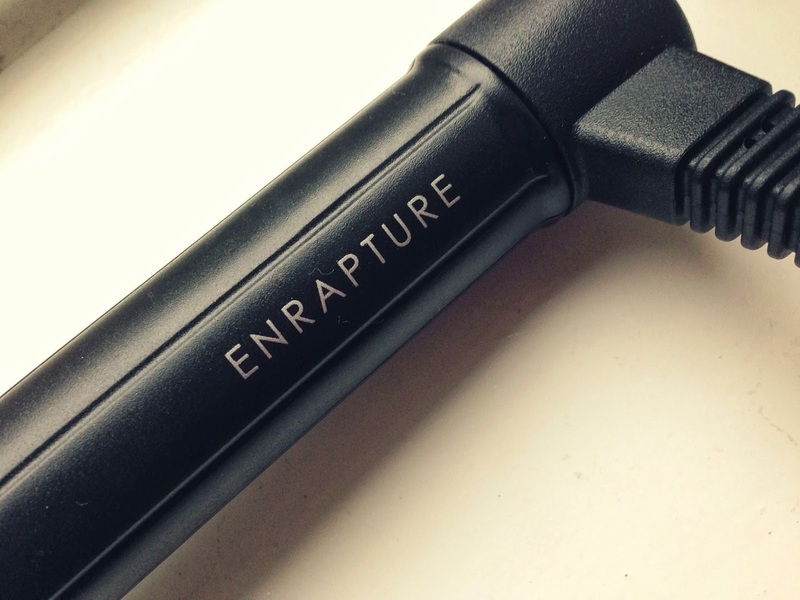 When I was asked if I'd like to review an item from the Enrapture range, I really didn't think twice. Now I've let my hair grow I like to try and style it in something other than straight, so with that in mind I picked the Enrapture Encode Totem Styler*. 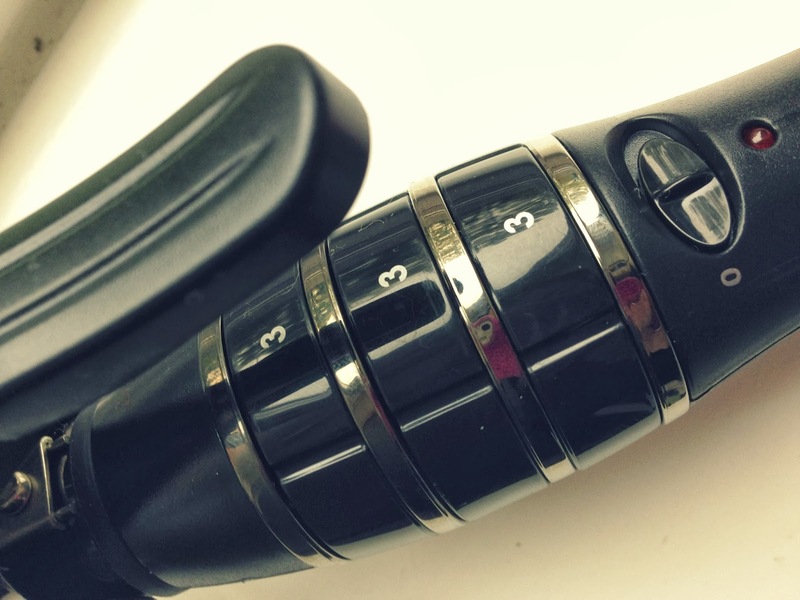 I love the width of the styler, its a great size especially if you're like me and don't always want really tight curls. It also comes in three sections numbered one to three, which indicates the temperature the section will get too. If you have all sections on number three you'll get a tight curl from root to tip. If you change it to one , two and three you'll get a loose curl at the root and it will get tighter towards the end - I hope that made sense. 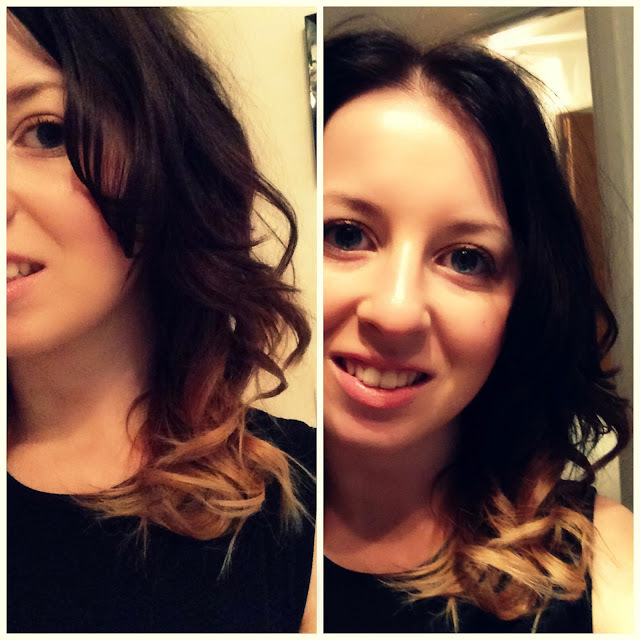 I did the hair style above with all settings on three then ran my fingers through my curls to loosen them up a little. My curls stayed like this pretty much all day, without using any hair spray. That's pretty amazing considering my hair is so so straight naturally, I don't think I can emphasis that enough! I'm absolutely loving experimenting with this styler, I've used it again today to just create a little volume in the ends of my hair and I really love the look. 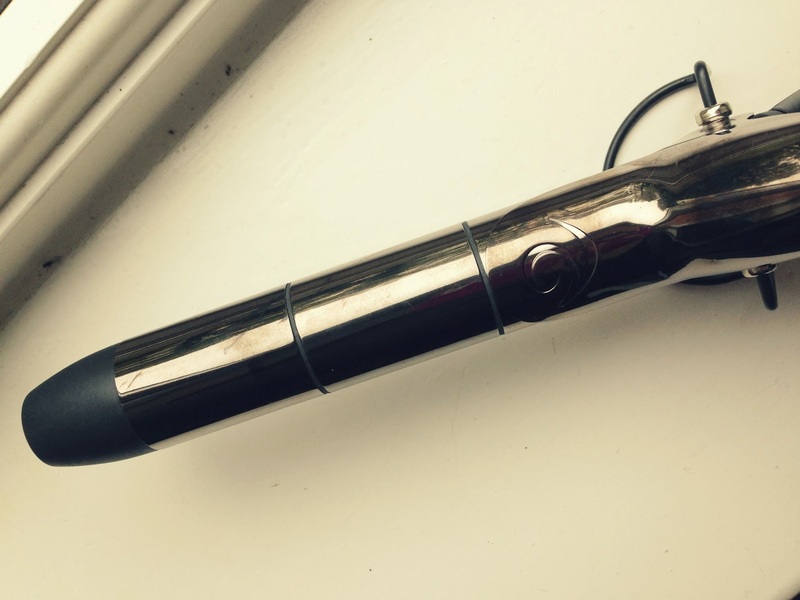 I can't fault this hair styler at all, it's so quick and easy to use, it's become a staple in my hair care routine. 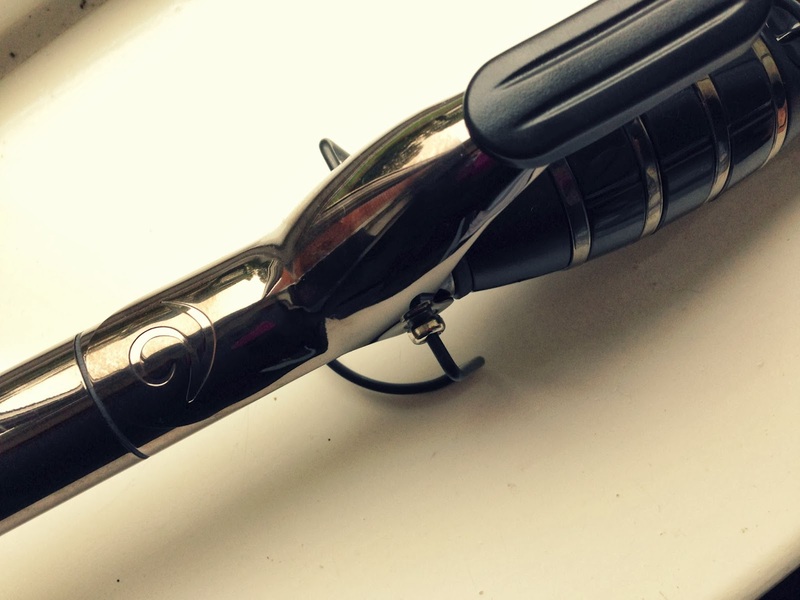 You can pick up the Enrapture Encode Totem Styler from Enrapture's website and Boots. I haven't done an outfit post in a while, so here's what I wore for a quick trip to the Trafford Centre at the weekend. 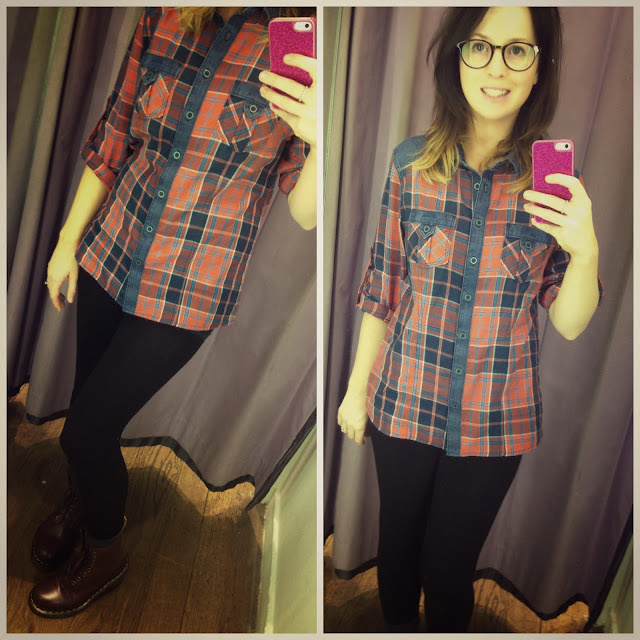 I'm in love with tartan and checks at the moment and this little bargain shirt involved them both. 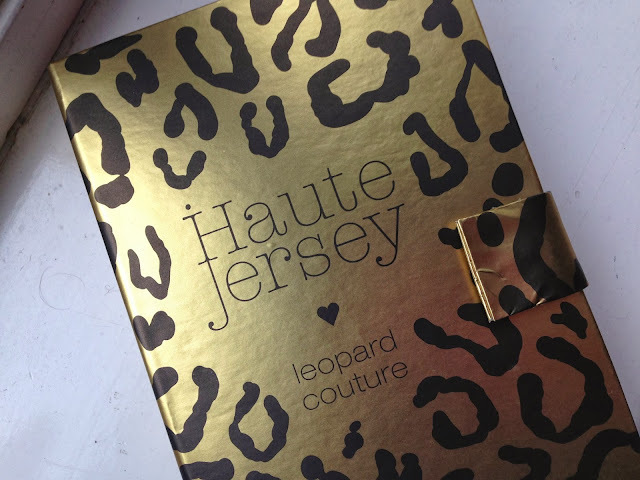 I actually got this in Primark's 'sale' and it was reduced to £5 - absolute steal. 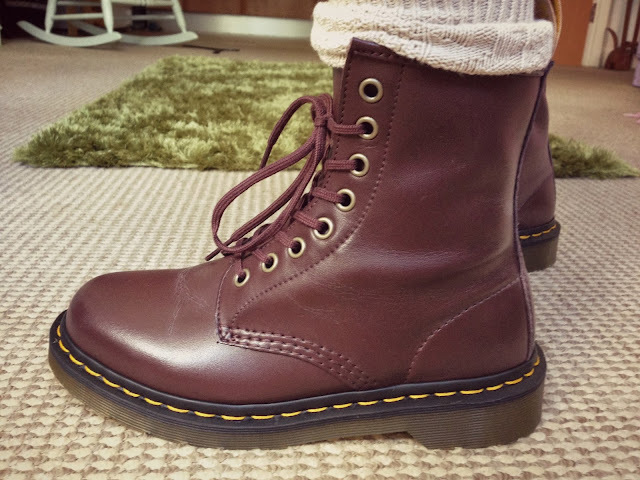 I also can't get enough of my vegan Dr M's, they go with everything and are so comfy. 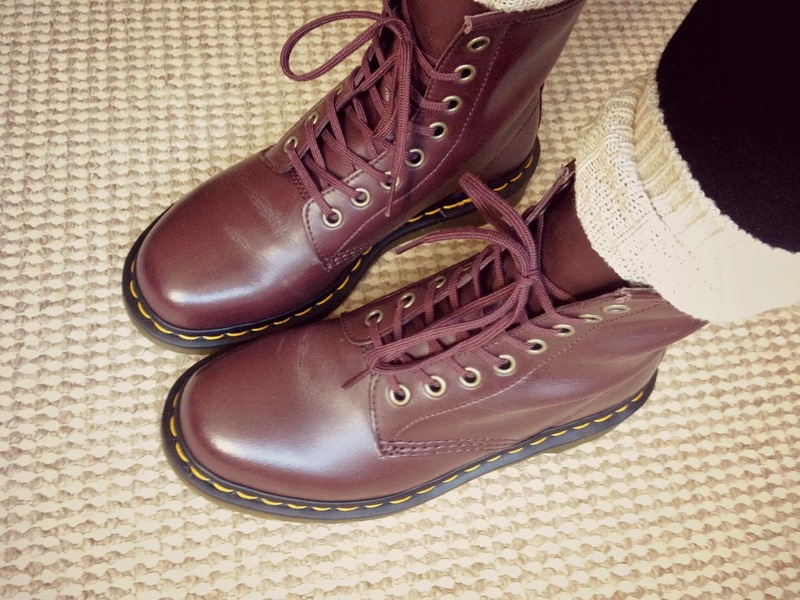 I'm so excited for the frost cos I know my toes will be kept nice and warm in my new favourite boots. "Hi I'm Rachael from Dear Ms Leigh and I'm so happy to be here to talk about one of my two kitties Smokey who we've had for a year and a half, I hope you find her has adorable as I do! Smokey is our gorgeously cute two and a half year old Russian Blue we adopted from a local rescue shelter after she was found hanging around a burnt out house hence her name which we decided to keep although she never actually responds to being called. The adventures began with Smokey moment we picked her after being told by the shelter (who took it from their vet) that she was a he, in fact our vet told us he and a she, and after being fixed she attempted to leg it towards an extremely huge and busy intersection after the cat carrier door fell open. Luckily things are a lot quieter in these parts although she spent the first week living under our bed she was so shy. While she isn't a 100% pure Russian Blue it's certainly in her, she has a gorgeous silver-blue coat which is actually two layers of short fat fur which needs to be brushed regularly and is extremely soft, Russian Blues often tend to be smaller in size hence her nickname Tiny as she is so small in comparison to our Tabby cat Ed. Frequently timid especially around strangers she just adores her tummy being tickled, she barely meows (again that's in the nature of Russian Blues) and each week has a new favorite place to sleep be it upon the dinning room table chairs, under the coffee table to the inside of fabric bags. True to her Russian Blue nature Smokey is very playful - her favorite thing to play with being my hair ties and can be very affectionate but only when she wants to be. 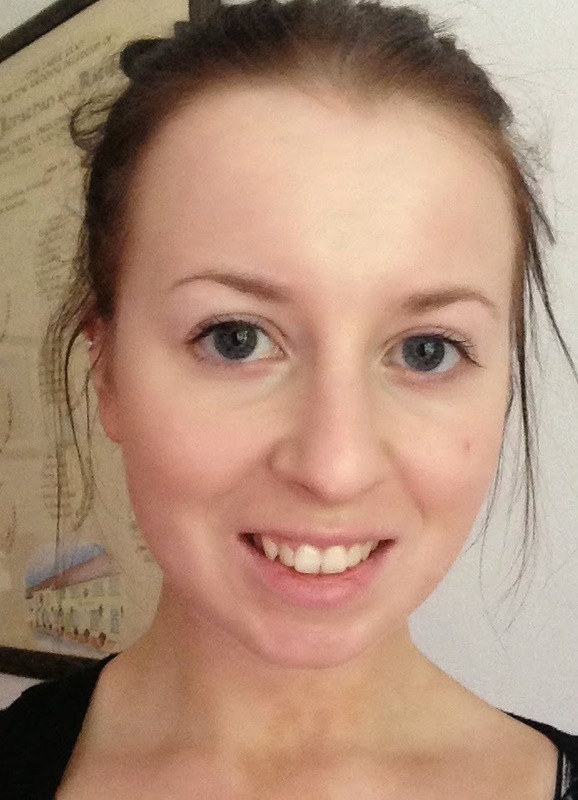 She's highly interdependent, rather sassy and knows what she wants." 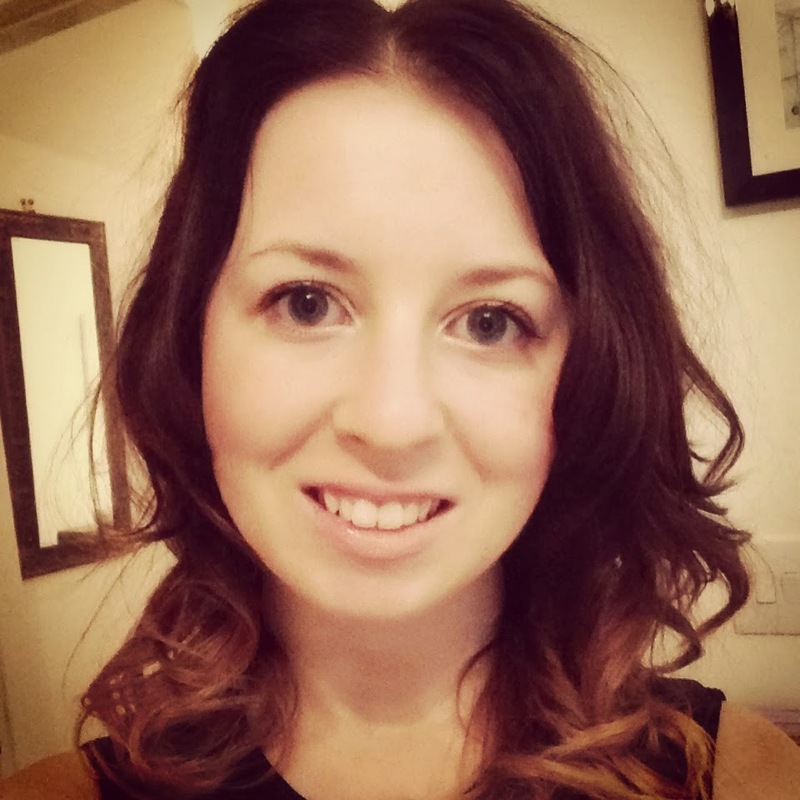 Check out Rachael's blog here! 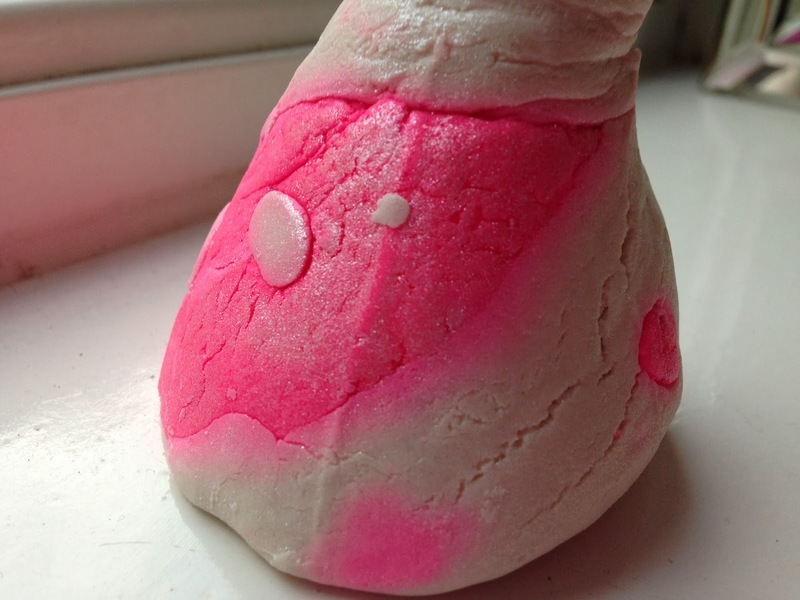 My favourite thing from LUSH is by far, the bubble bars. I think they are the best value for money as you only need the tiniest bit to crumble into the bath and create tonnes of bubbles. I've had the Creamy Candy bubble bar (which is available all year) so many times, I'm obsessed with the smell, so when I saw this Christmas version I needed it in my life. It smells exactly like the Creamy Candy bubble bar, it's really sweet but not sickly. It's scented with vanilla which is obviously where the sweetness comes from, and it's just yummy. The Christmas version, Candy Mountain, is a different shape and a much more vibrant pink than the regular Candy bubble bar. It also has a bit of glitter in to add to the Christmassy feel. 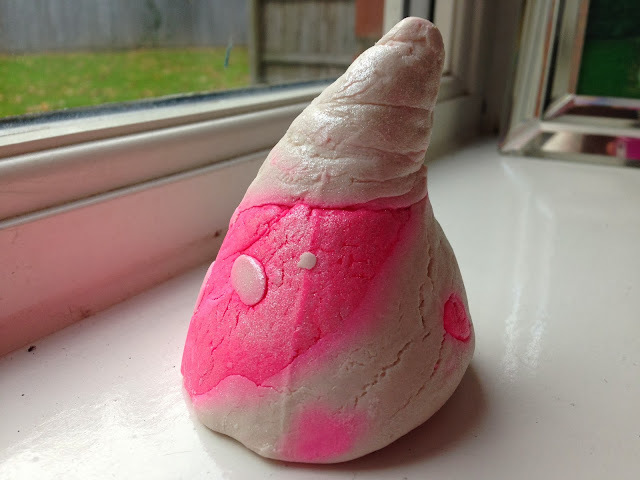 I'm loving LUSH's Christmas range this year, I think they've really upped their game, I will be certainly grabbing some more of their goodies in the run up to Santa arriving. You may or may not know I am blind as a bat. 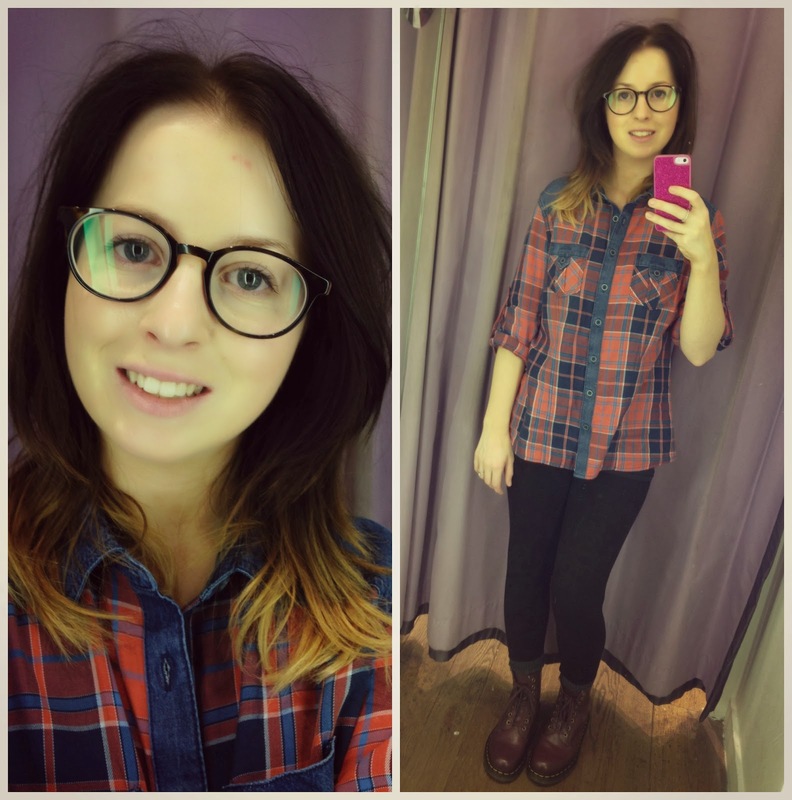 I generally wear glasses at least 5 days a week and will pop my contact lenses in if I'm having a day out on my days off. 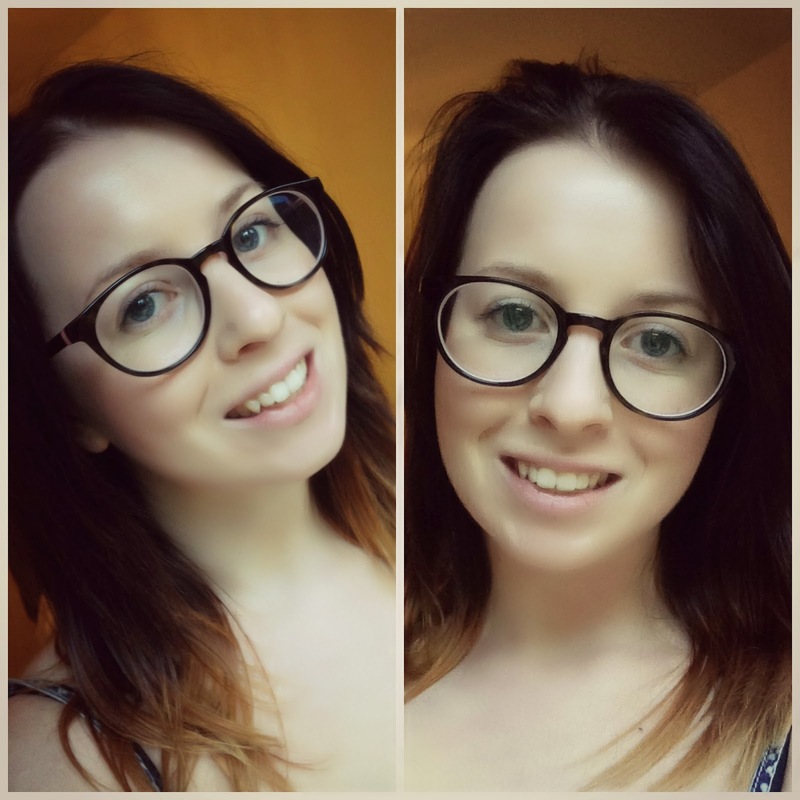 As my glasses are something of a permanent fixture, I get very excited about new specs. I was super excited when I was asked to choose some glasses from the London Retro range at MyOptique. 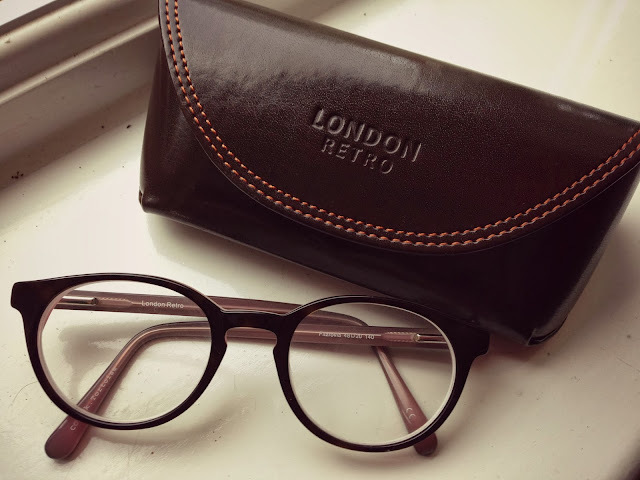 The Autumn/Winter collection from London Retro is based on the London Underground and tube stations, which I think is pretty cool, not only is the collection gorgeous it's also very British. The frames are named after iconic London stations and lines, Angel, Bakerloo, Circle etc. They are really reasonably priced too, at £79 each - pretty good for some stylish specs. 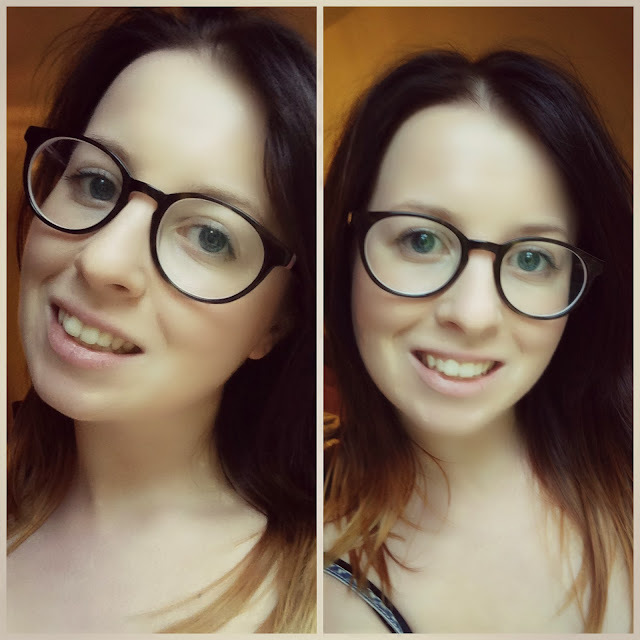 I picked the frame Fitzrovia, which are a gorgeous round frame and totally different to any of my other pairs. They are a little Harry Potter-esque and I love the nerdy style of them. They have certainly become my favourite go-to pair. I was very kindly sent these products to try a few weeks back. If you've followed me for a while, you'll know I'm a big Liz Earle fan, although I don't use so many of her product at the moment. I love the brand and everything I've tried has lived up to expectations and more. And these lovely products are no different. First up the smell is unbelievable. It's so herbal and natural and really does wake you up. I used up the body wash in a matter of days as I loved the scent so much I just couldn't get enough. It really left me feeling fresh and 'energised' and completely ready for the day ahead. The body scrub is fab too. I'm loving exfoliating at the moment, I'm going through scrubs like there is no tomorrow. 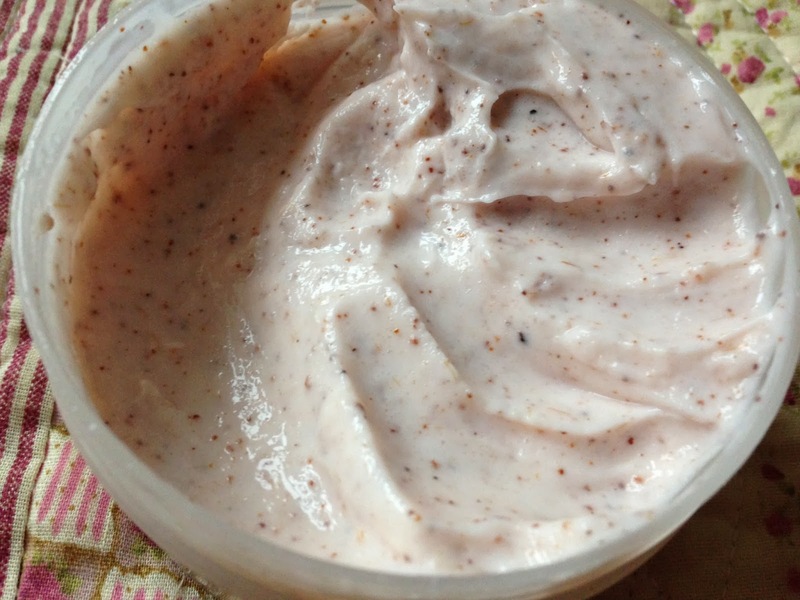 There is genuinely no better feeling that a good exfoliation, leaving your skin super soft and smooth. I'm really impressed with these products, as I've only tried Liz Earle's skin care, I might just be converted to the body care too. You can find all the Liz Earle Body Care here. I've been after some NYX products for so long, but I'm a little weary about ordering make up online if I've never tried it before. As many of you know Pro Beauty North was in Manchester last weekend so me and Emma headed over to pick up some goodies. I knew NYX would be there and they were offering 20% off the stock so now I finally have my hands on some of their products. I've heard a lot about their lipsticks and know a lot of bloggers swear by them, I've tried this once already and I really love the colour, although it's not really something I would usually go for. I was really disappointed as I couldn't see any of the infamous Butter Glosses as they were on my shopping list, but I may actually have to order them online. 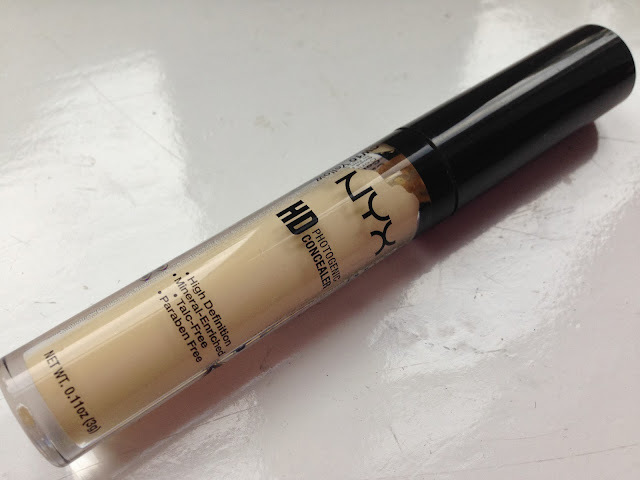 I've seen a few reviews of the HD concealer too. I picked it up in yellow so that it can counter act my dark circles. It's a really thick and creamy consistency, I can't wait to give this a proper go! 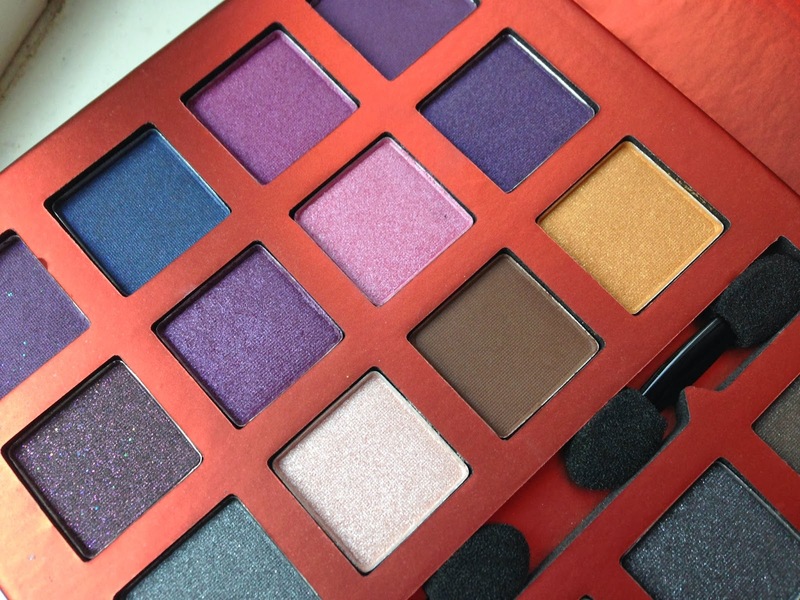 Lastly, this amazing palette was such a bargain. I went to NYX with the intention of buying a new matte bronzer and after failing to do so I spotted this just before joining the queue. 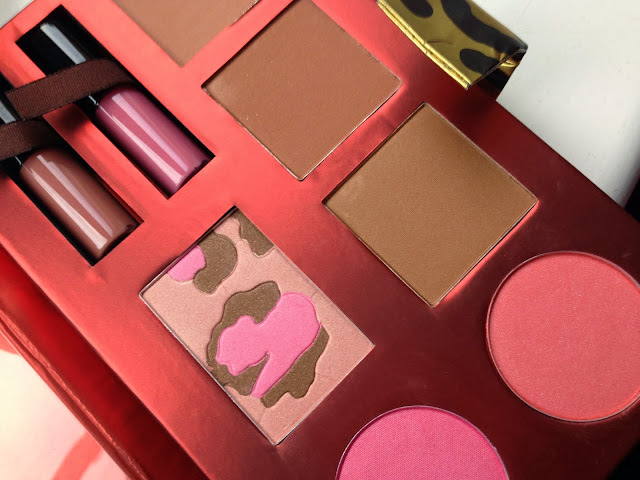 This palette contains 3 bronzers, 3 blushers, 2 lip glosses and 24 eye shadows, even if I don't use any of the eye shadows this is still a fab buy. 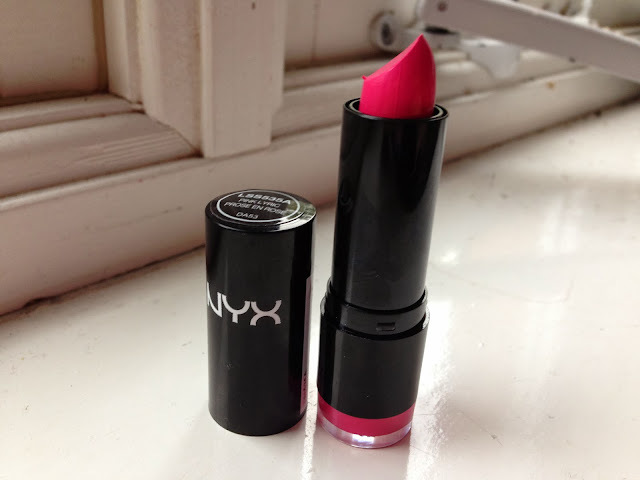 Have you bought anything from NYX before? I'm a sucker for comfy foot wear and I've admired Doc Martens from afar for quite some time, but knowing they are real leather put me off so I never considered owning a pair. When Cloggs asked me if I'd like to pick something from their website I was so excited as I am obsessed love shoes and I have far too many pairs, but one more pair wasn't going to hurt. 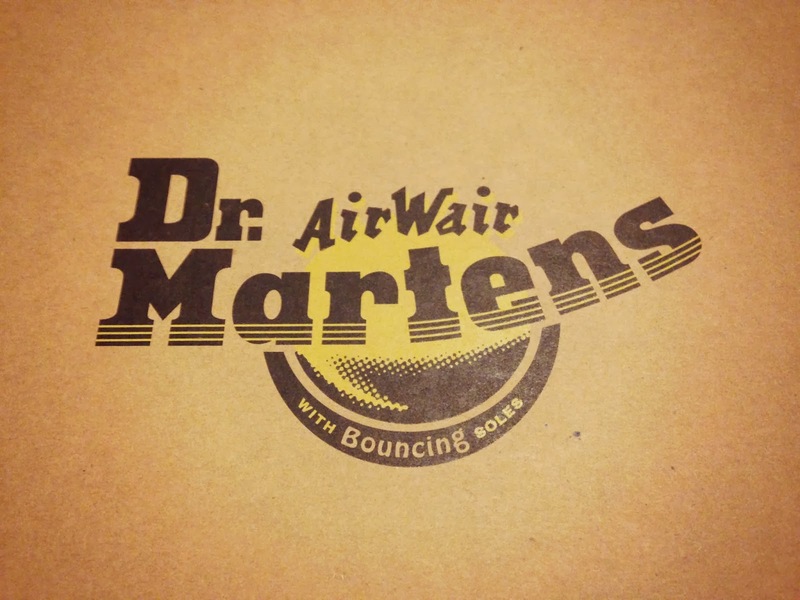 Flicking through the website I stumbled across these Vegan Dr M's made from synthetic leather and knew I had to have them. I've heard the leather Doc Martens can be pretty uncomfortable until you wear them in, but these are crazy comfy and actually go with pretty much anything. I love the chunky style and they really break down a girly outfit and make it a little more masculine. I've been styling them over some woolly socks to keep my toes extra warm whilst it's getting a bit cooler. 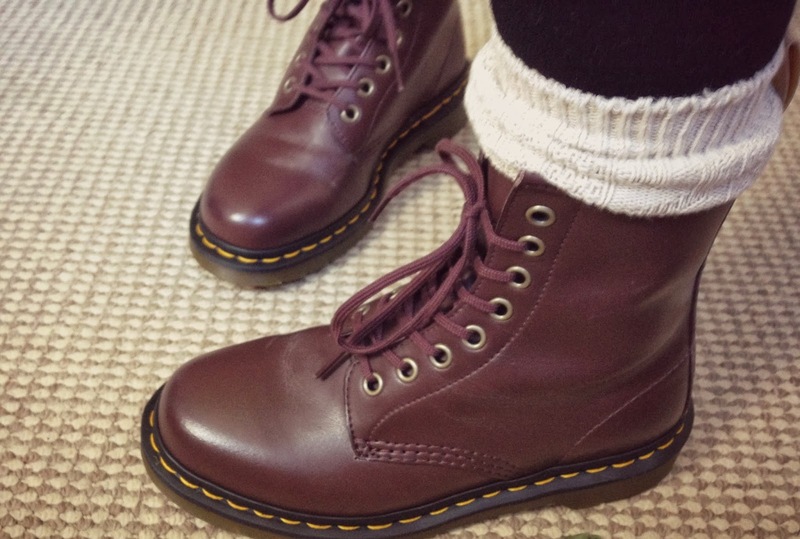 These are perfect for this time of year and I can see me wearing these a lot over the winter. 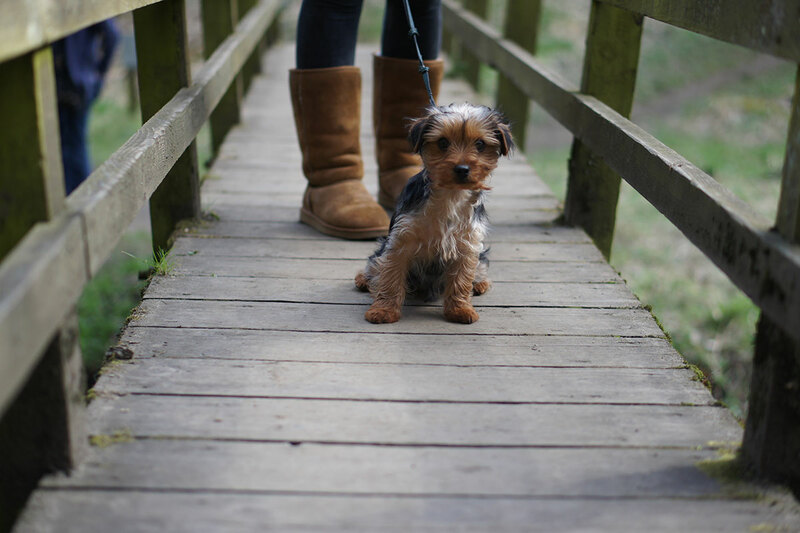 "Willow is my little Yorkshire Terrier. To say she has her own personality is an understatement - she hates the rain (she will sit on your feet outside so that she doesn't have to sit on the wet ground), she loves nothing more than being cuddled (I may have something to do with that one), and she constantly paws at you or nips your feet when she wants to play. She has a favourite toy which is a baby's soft Panda bear called Panda - inventive eh? And despite Yorkie's having pointed ears, she still hasn't managed to keep them both up! There's a bit more to Willow's story as we bought her from someone connected with puppy farms without knowing (read about it here -http://elleai.me/puppy-farms-wheresmum/) so to say the least we're pretty lucky to have her! It explains the other side of her personality too - she's nervous and scared of everything. New people, other dogs, loud noises, cars, water, the lot! 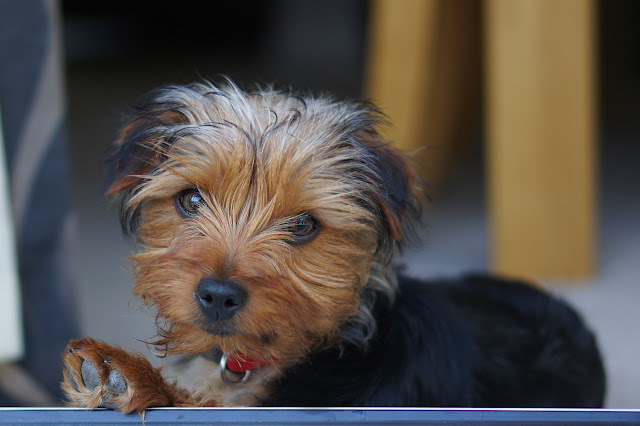 But she's slowly coming round to things and last weekend even took her first swim in a stream and afterwards she seemed pretty proud of herself walking around with her tail wagging and head held high!" Thank you Laura and Willow!